Ireland has the perfect combination of culture, natural beauty, city life and the most welcoming people to make traveling throughout the country one of the most enjoyable trips you might ever take. However, with so much to do, it is often hard to sort it out and come up with the perfect itinerary. 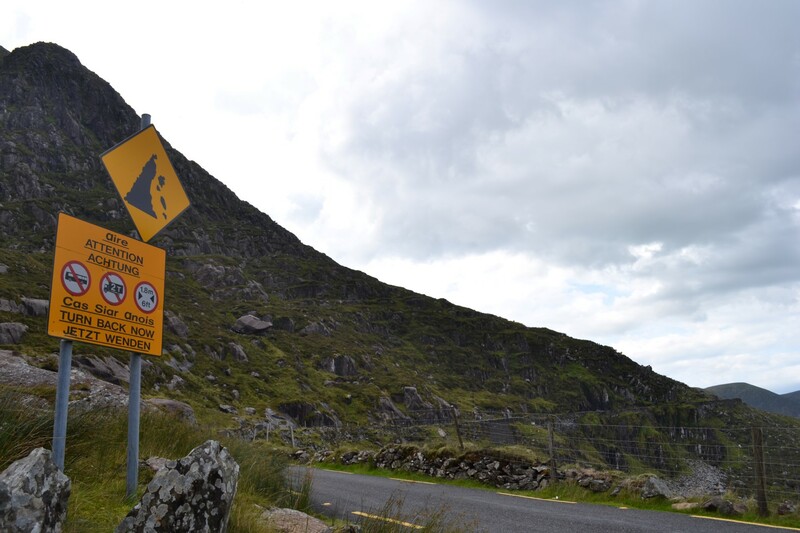 When most people think about driving in Ireland, the stress and fear immediately overtakes them. Is it true that it can take over double the amount of time to drive somewhere if you get stuck behind a herd of sheep? Are the roads actually so small that barely one car can fit through them? How many cars are returned with missing pieces from scraping against walls? Is it terrifying driving on the “wrong” side of the road? While most of these are legitimate concerns, they are nothing to keep you from driving in Ireland. Spend a few minutes on some side streets getting used to the other side. After a short period of time, you’ll only rarely use the windshield wipers instead of the turn signal, and driving will become a cinch. If you don’t want to drive a manual car, be willing to pay extra and let the rental company know beforehand; most cars in Europe will be manual, not standard. Take it slow. The roads can become extremely narrow, so it is better to drive slowly and just enjoy your scenery than to zoom to your next destination without appreciating the beauty around you. Driver’s License: If you will be in Ireland for a short period of time, your current. valid and up-to-date driver’s license will suffice. While you are not required to have an International Driver’s Licence in Ireland, it never hurts to have one when driving abroad. Also, some companies still may ask for one; check with your car rental company prior to arriving to avoid any confusion and stress. – At our time of travel, Payless Car Rental was by far the cheapest option for renting a small car. For one full week, we paid only $115 (not including gas). 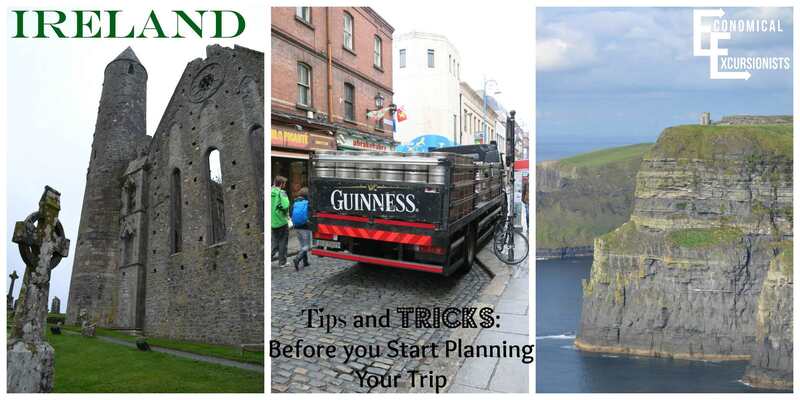 Before planning out your trip, consider the amount of time you will have in Ireland. There is so much to do that most people try to pack everything in. When I travel, I like to spend a few days in each location. For Ireland, there was so much to do that most places we only spent about a day. We didn’t feel rushed, but I’m sure we could have easily spent more time in each town. I also wanted to hit some of Northern Ireland, but looking at everything else we wanted to hit, I just knew it would have been too much for the time we had. Plan accordingly and realistically. Consider your transportation options as well when planning what towns to see or how you’ll get there. After all, you don’t want to be spending more time sitting in a car or airport than enjoying what Ireland has to offer. Depending on your length of stay, it may be worth looking into the HeritageCard. Once you pay the upfront fee (see website for current prices: http://www.heritageireland.ie/en/Info/HeritageCards/) you can gain free entry to many of the popular sites in Ireland. What is nice about this card is that you may even find yourself going to a few great sites that you may not have gone to if you had to pay, but could be worth it on a short stop with the card! As with most cases, this will most likely be determined by your budget. However, B&Bs in Ireland are extremely well known and for good reason. The Irish people in general have been some of the most friendly we have met to date while traveling, so their hospitality in their own home comes naturally. You are awakened each morning with a traditional Irish Breakfast (Eggs, bacon, tomatoes, sausage, black pudding, beans and more) to fuel you for the day and nothing beats having a “home” to come back to at the end of a full, busy day of site-seeing. If traditional B&Bs are out of your budget, AirB&B is always a good choice to get a similar atmosphere, but probably minus the breakfast. No matter where you go, I always think you can travel light. This may be somewhat more tough in Ireland since you may need to be prepared for all types of weather. However, I was still able to manage both warm weather clothing with fall-type temperatures and of course, plenty of rain gear! If you don’t have a good rain coat, now may be the time to get one, or at least a good poncho! There is absolutely no shortage of beers while in Ireland. Of course, almost everyone will go straight for the Guinness. However, you are definitely going to want to try the other “not so famous” brews. Our favorite, even over the classic Guinness? 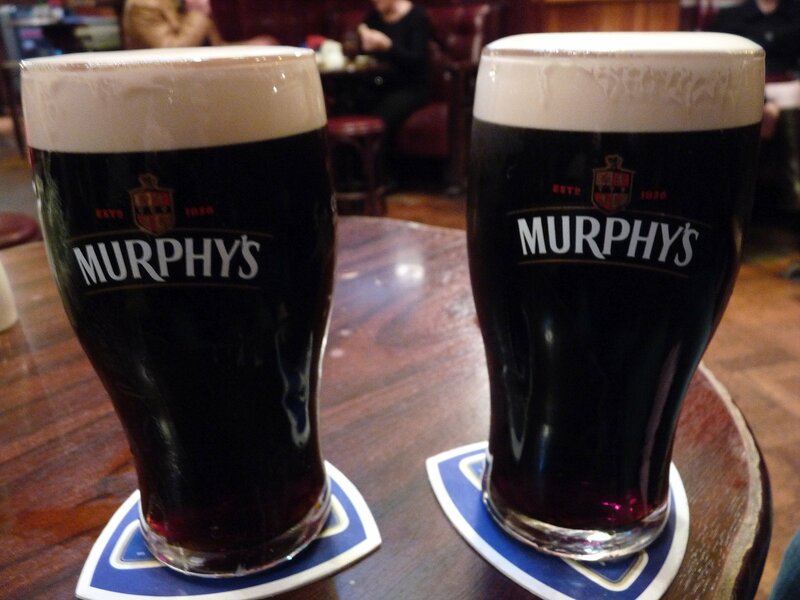 Murphy’s. If you are a lover of ciders as well, you won’t be disappointed. Just make sure you give everything an equal opportunity for taste testing! 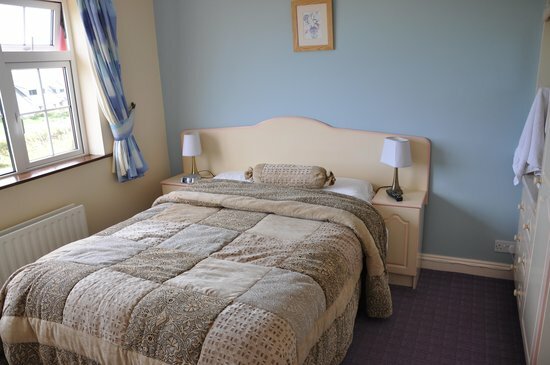 Read reviews to find the perfect place to stay in Ireland here. Compare to find the current cheapest accommodation in Ireland. Stay at your own personal apartment or home while in Ireland. A trip to Ireland can be tough to plan out due to all your options. 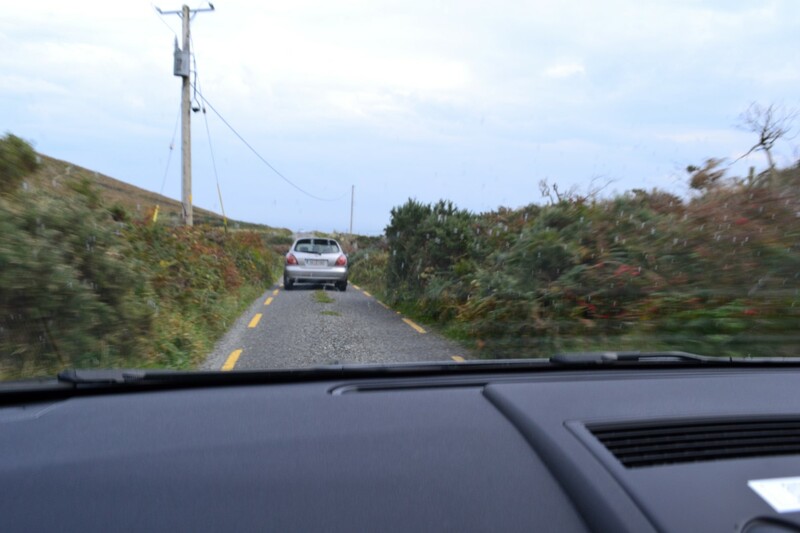 What tips would you give to fellow travelers wanting to head to the Green Isle?